Disney’s “Captain Marvel” finally settled the score on one of Hollywood’s biggest misconceptions: Female superheroes can hold their own at the box office. Not even online trolls who tried to tamper with hype surrounding “Captain Marvel” could stop the heroic warrior’s ticket sales from climbing higher, further, and faster than anticipated. “Captain Marvel” smashed records for the biggest debut of the year at the domestic box office, posting $153 million from 4,310 theaters. Its opening weekend performance falls just behind “Black Panther” ($202 million) as the strongest debut for a superhero origin story in North America. Overseas, “Captain Marvel” pulled in a massive $302 million, including $89 million in China, representing the fifth-highest international opening weekend ever. It wasn’t just young women who turned out to see the on-screen adventures of Carol Danvers, the Air Force pilot who becomes an intergalactic hero. Males accounted for 55% of audiences, while 74% of moviegoers were over the age of 25. It’s nice to see the guys getting behind some female empowerment too. Fans were also willing to shell out some extra cash for a more luxurious theatrical experience. 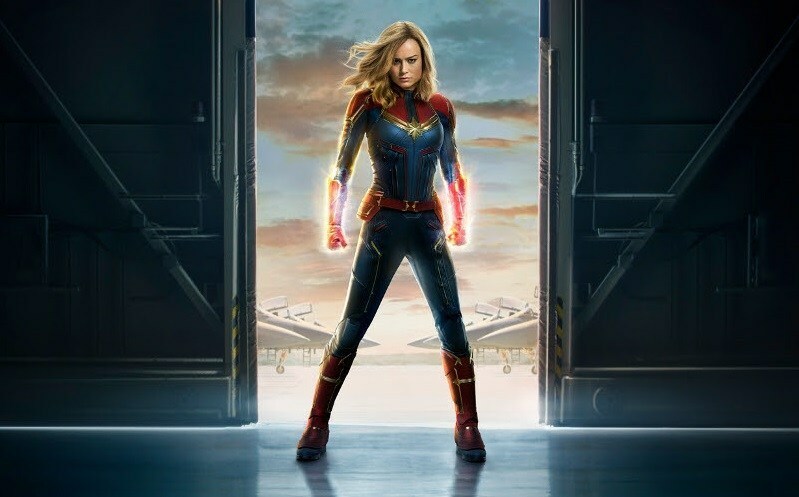 Imax screens accounted for $36 million of “Captain Marvel’s” ticket sales, ranking among the top five debuts of all time at Imax theaters. “Captain Marvel” also topped the results for “Wonder Woman,” the superhero movie that should have ended any prejudices about female heroes’ box office clout for good. In 2017, “Wonder Woman” paved the way, hinting to Hollywood that (shocker!) audiences will still turn out for a movie centered on a female protagonist. DC’s first female-led superhero film — starring Gal Gadot and directed by Patty Jenkins — launched with $103 million at the domestic box office. Even without the same kind of name recognition that Wonder Woman benefited from, “Captain Marvel” soared past that start. That’s in part because Marvel has such a strong track record, a hero doesn’t need to be a household name to entice audiences. Before “Aquaman” swam along to show moviegoers that “Wonder Woman” wasn’t a fluke, Princess Diana had to also show that Warner Bros.’ DC Extended Universe could hold its own in the superhero genre. That’s not a responsibility Marvel has to face. In fact, “Captain Marvel” just further proves that Feige and Co. have built a bulletproof empire. Following the record-breaking success of “Black Panther,” Marvel continues to display an appetite for inclusion. Timing isn’t everything, but in “Captain Marvel’s” case, it certainly does help. Disney positioned “Captain Marvel” to be a key link between “Avengers: Infinity War” and its follow-up, “Avengers: Endgame,” the epic conclusion that arrives in theaters this summer. After Marvel teased Larson’s heroine during a post-credits scene in “Infinity War,” comic-book fans had to hit up their local multiplex to see how Carol Danvers becomes the last, best hope after Thanos turned half the galaxy to dust at the end of the last superhero mashup.